Perfect in baked goods, souffles, crepes or just fried with a smattering of salt. 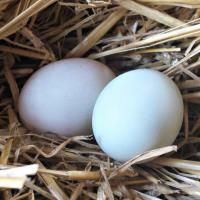 Our duck eggs are delicious and nutritious, a perfect substitute for those with other poultry allergies. You may be interested in some of these other products or contributing to our Double Up Food Bucks program!